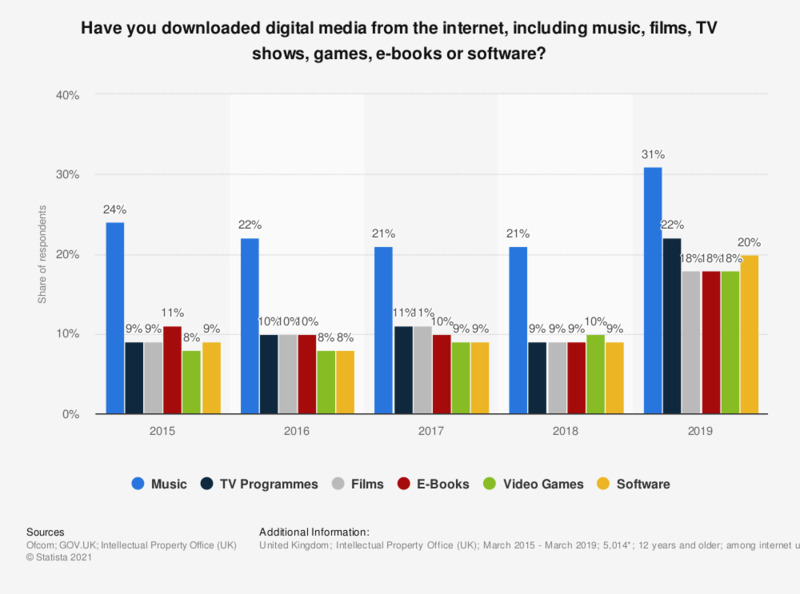 The statistic presents data on digital media downloading among internet users in the United Kingdom (UK) as of eight survey waves running between August 2012 and March 2018. As of wave eight ending March 2018, 48 percent of respondents reported ever having downloaded digital media of any type, compared to 38 percent that reported having downloaded media in the three months previous to survey. Everything On "Entertainment retail in the United Kingdom (UK)" in One Document: Edited and Divided into Handy Chapters. Including Detailed References.